The object is to place the green arrows so that your blue square will get to the red square. One very interesting feature: your man can go through the ceiling and emerge from the floor. This torus feature will become an integral part of the solutions to many of the puzzles. 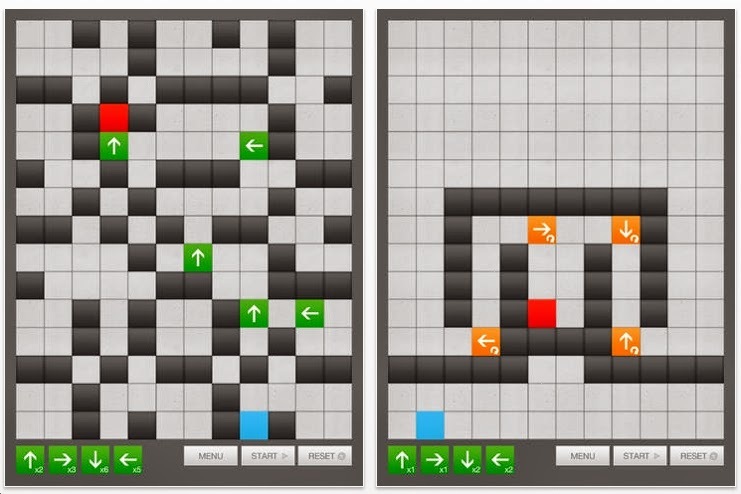 There are 32 levels and they seem kind of easy at first. Until you get to #11. That's when the torus feature explodes at you. Great design. Look at the 4th image. See the orange arrows? They rotate 90 degrees every time your man passes over one of them. I solved the first 29 and got stuck on 30. I'm not sure if the developers saw this, but I found a very easy solution for level 24. 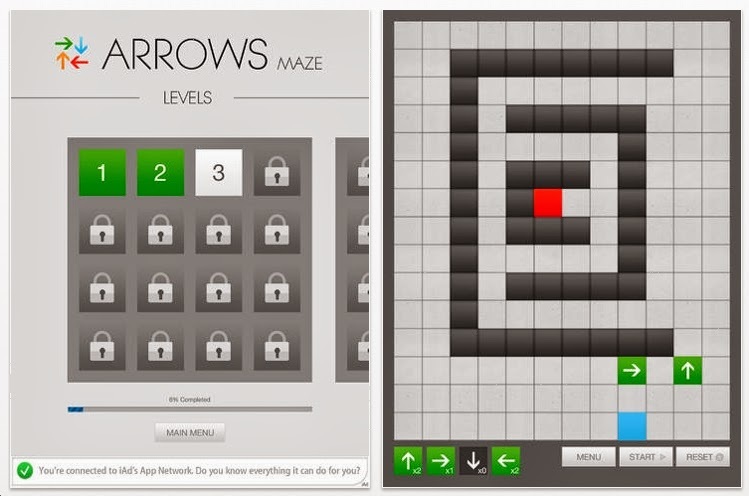 In that puzzle, 13 arrows are provided. I only used 2. 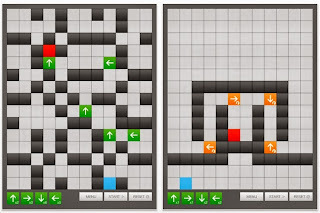 In the past, we've seen many maze puzzle apps with all sorts of features like this one has. Neverheless Arrows Maze is a fine mixture of challenging fun with just the right graphics. Yep, some of the levels are doable with less than the allocated number of arrows (just a few, from memory). Lots of fun!